Sure you know about the big game – but do you know the story behind the cup itself? The Grey Cup is a priceless part of our national history – not bad for a trophy that initially cost the Lord 4th Earl Grey $48 back in 1909. The then- governor general of Canada ordered the trophy to be made by Birks Jewelers of Canada. The Bank of Canada’s inflation calculator only goes back as far as 1914. But, close enough to 1909, right? According to the calculator, $48 from that era would buy you what $1,092 can get you in 2018. While the Grey Cup is a stunning piece of Canadiana, it’s not exactly what you’d call, well, sturdy. You see, football players are large humans who don’t always know their strength. And this dainty mug has been broken or damaged several times by celebrating teams. 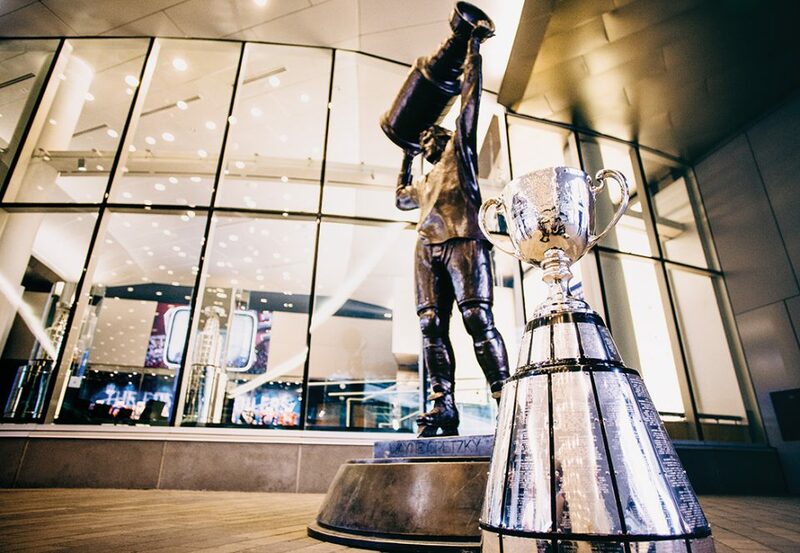 In 2014, during the Calgary Stampeders’ celebrations, the cup portion of the trophy broke away from the base, and newspapers were filled with photos of the Stampeders passing around the two pieces. Those Calgarians. No respect for anything. The Earl Grey also has some unique connections to Edmonton. Last year, local filmmaker Oliver McGarvey (who graced Avenue’s cover in February, 2014) premiered his travelogue, Romantic Road, at the Edmonton International Film Festival. The film followed internationally known London lawyer Rupert Grey and his wife, Jan, as they travelled from India to Pakistan in a 1936 Rolls Royce. Both Rupert and Jan attended the premiere at the downtown Landmark Cinemas, and Rupert confirmed that yes, he is indeed the great great grandson of the fourth Earl Grey. Now, back to the trophy. When it was made in 1909, it only had a small base. But, like the Stanley Cup, the names of the players are engraved on nameplates around the base. The base has been expanded over the years so more teams could be added, but there’s a problem: The current version of the Grey Cup is running out of room. According to the CFL, the league is working on it. “The league will communicate how this will be handled in due time, most likely in the new year,” read a a statement provided to Avenue by the CFL. As well, for Edmonton trivia buffs, it’s worth noting that Wayne Gretzky’s name appears on both the Stanley and Grey Cups. Remember that Wayne Gretzky partnered with John Candy (who rose to fame with Edmonton-based SCTV) and Bruce McNall to buy the Toronto Argos – who won the ’91 Grey Cup.